At this time of year, with a glass of Bushmills in hand, it is always nice to review the year. There have been some personally very sad moments and, thankfully, many more moments of great joy. However, like everyone else, life seems to trundle along until one takes a closer look. 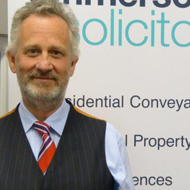 We incorporated in October 2015-so we are now, officially, Emmersons Solicitors Limited. This year we have secured 3 excellent members of staff (to add to the already excellent members of staff)-so the business is growing. We have plans for expansion-more of that in the New Year. Our finances are in good order. We have conducted more cases than before and maintained a high level of client satisfaction-it seems our “No Surprises” customer service policy is working. In matrimonial cases we help clients avoid the Court battle-not through referring them to mediation-but through assisting them through negotiation. Our criminal and motoring case load is expanding-through referrals and recommendations. The Crime Team featured at the Northern Law Awards having been nominated for this regional awards process. Our property workload has expanded and we cover the whole of England and Wales yet we haven’t adopted the conveyancing factory approach but maintain standards so clients actually get a proper service. Private client work-wills and lasting powers of attorney and probate-is expanding too and the Private Client Team attended The Law Society Excellence Awards in London having been short-listed for the national awards. Our prison law department continues to assist more and more people caught up in the parole system. Our year makes me feel content yet eager to grow the success we have had in 2016-whilst hoping that Ireland win the 6 Nations in rugby again and Northern Ireland are crowned Euro Champions. We wish all our clients and all who have worked with us in 2015 a very peaceful Christmas and New Year and a prosperous 2016.